What if we told you that there are kids in the world who have never colored in a coloring book or drawn a picture with more than just an ordinary pencil? You’d probably think that was kind of crazy – EVERYONE has done that, at least in school…right? Unfortunately, it turns out that’s not true. There’s kids all over the country (and the world) who don’t own their own box of crayons as well as schools who can’t afford to provide art supplies to their students, leaving lots of kids living in a colorless world. 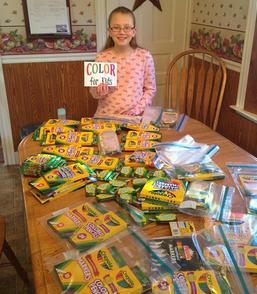 Thankfully, we just discovered that there’s a 10 year old girl who’s looking to change that with her charity, Color for Kids. 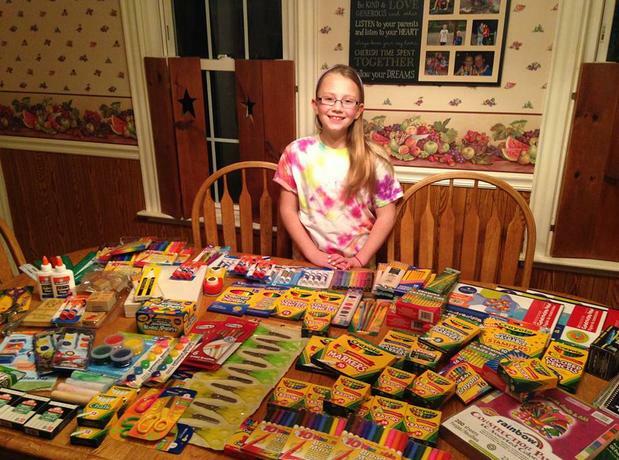 Bethany is an absolutely delightful 10 year old girl from Pennsylvania who’s mission is to bring color into the lives of every single kid who doesn’t have access to crayons, markers, and other art supplies. 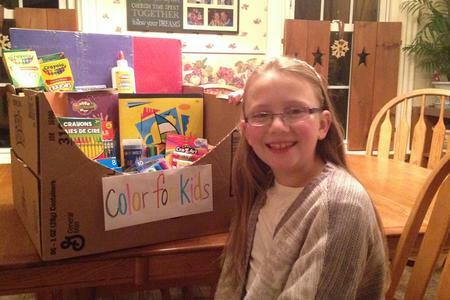 Once Bethany found out that there are kids without color in their lives, she teamed up with her favorite teacher and the rest of her 4th grade class to collect crayons, markers, colored pencils, and all sorts of other art supplies to donate to kids who need them. The very first classroom she donated to was from a school in Alabama. This particular class contained 25 students all sharing the SAME box of twistable crayons – certainly not enough to go around. After Bethany’s colorful donation – two boxes filled to the brim with art supplies – these kids had plenty of crayons for their classroom as well as some to take home. While helping these kids left her feeling great, Bethany realized that things were still looking dull. Sure, she helped put a smile on the faces of a few kids, but what about the rest of them? That’s when Bethany’s good deed started to snowball into a full on charity. 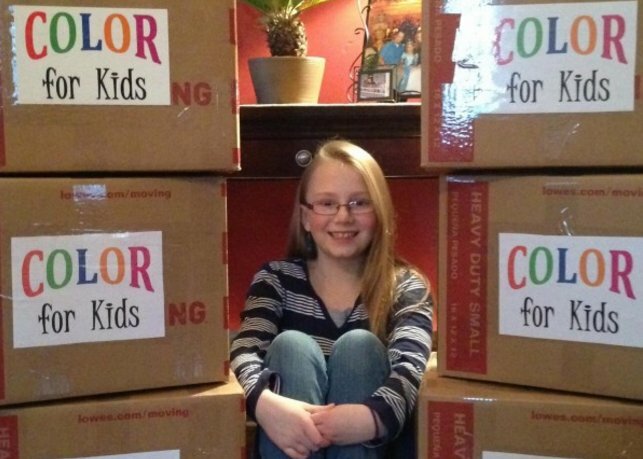 With the help of her family and some super nice people in her neighborhood, Bethany was able to start Color for Kids – a charity that’s helping kids all around the world experience a life full of color. 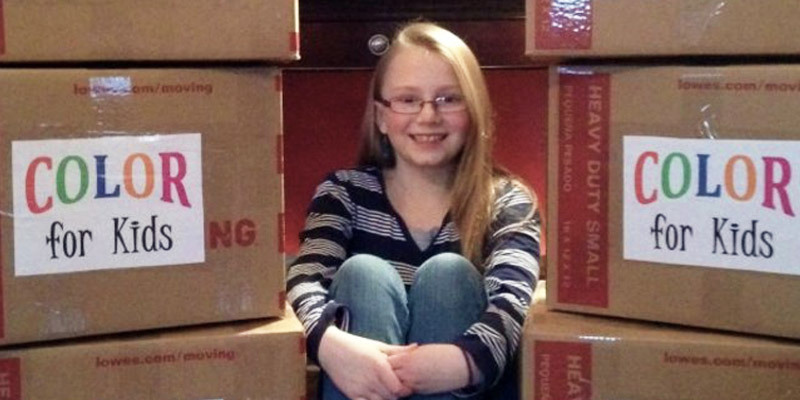 Since she started in November 2015, Bethany has donated nearly 50,000 crayons, as well as thousands of other art supplies. That’s a LOT of color! 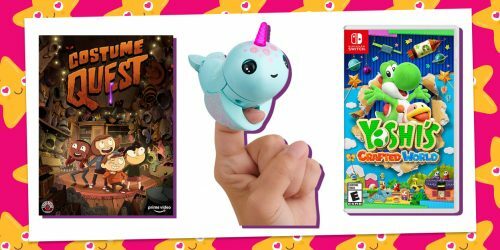 YAYOMG: When did you start Color for Kids, and why? 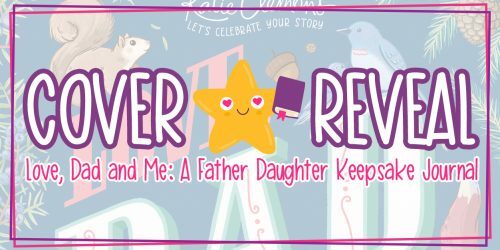 BETHANY: I realized that not all kids have their own crayons, and that made me very sad – and I wanted to do something to change that. So, in November I asked my teacher if our class could collect crayons and other art supplies to share with other kids. Mr Kupec (my teacher) is the best teacher in the universe, and he said YES! So I made a power point presentation to explain to my class what I wanted to do. Then I showed them and sent home letters with all the kids to tell their parents what we were doing. 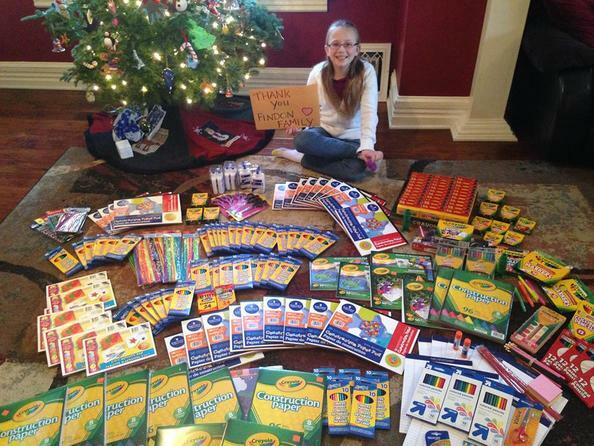 My class collected two big boxes and I sent them to a class in Alabama – they were SO happy and excited! But then I felt bad for the kids in other classes at that school and wanted to send to them too, so I asked my principal if our whole school could collect color and guess what…she said YES too!!!!! After that, I emailed the other schools in my district …pretty soon word started spreading through our town and other people and businesses wanted to help too. 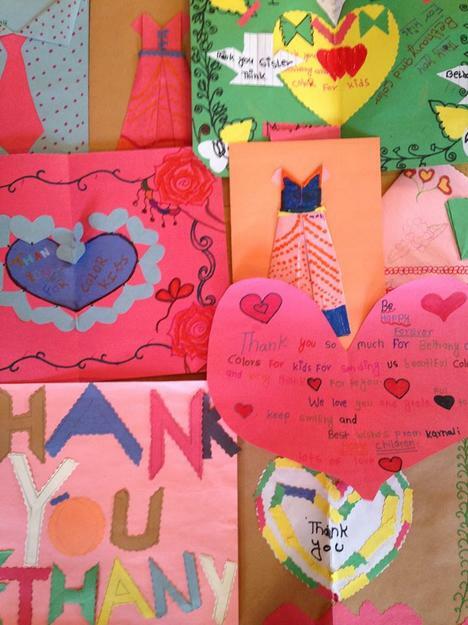 It was an amazing contagious kindness project that LOTS of people have helped with!! The color belongs to the kids – not the school …we just send to schools to make sure the kids actually get them, but it is the property of the kids to take home and use whenever they want. I always give a little extra to the teachers though to make some art all together – shared art is FUN!! Lots of ideas all at once! BETHANY: One of my favorite times was when I gave colored pencils to a little boy in New York City. He had never seen them before and didn’t know what they were, so I told him and then showed him – he was so excited that he gave me an enormous squeezy hug and we colored together. I also love getting beautiful thank you pictures and letters that kids make and send to me. I save every single one! I even got some from Nepal and they were so amazing that I cried, but it was happy crying. YAYOMG: When you’re not helping add more color into the world, what do you like to do for fun? 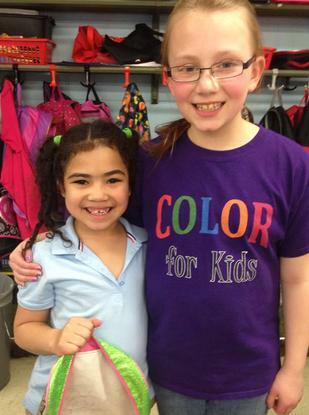 BETHANY: I super love art and coloring, but reading might be my favorite thing of all to do. I read every chance I get. All the time!! I also like to snowboard – and I play golf, field hockey and tennis. I love to travel – my goal is to visit all 50 states one day and then go to Paris to see the Eiffel Tower! YAYOMG: What’s your favorite color? BETHANY: Green!!!!!! It’s beautiful! And relaxing! And fresh! Like plants and salad. YAYOMG: Do you have any advice for other kids who want to help make the world a better place, just like you? BETHANY: Yes I do …my advice would be to always speak up. If you have an idea – share it! Tell an adult and ask for help making it happen. If that adult says no, tell another adult! Kids have GREAT ideas and can do a LOT to help each other …get some friends together and work together to make a difference. Most of all, more than anything, just be kind! Kindness is contagious – By being kind you can change the world and make it better! We’ve gotta say, Bethany is totally awesome! We definitely hope she makes it all the way to the Eiffel Tower one day! Bethany’s story has inspired us so much that we’re working on getting together some art supplies to donate to Color for Kids. 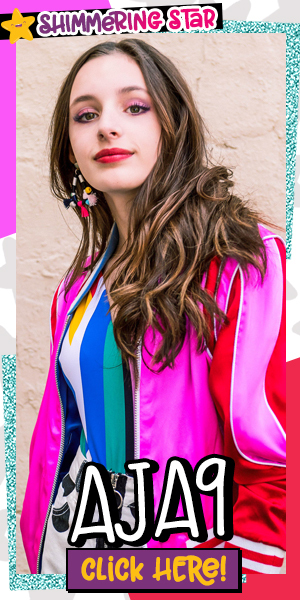 If you or anyone you know would like to make a donation of your own, you can head on over to colorforkids.net to learn more about what Bethany is up to and make a donation to help further her goal of getting crayons in the hands of every kid possible. There’s even lots of helpful info on how you can work with your school to gather up art supplies to donate to Bethany’s colorful cause.